With all this talk of becoming engaged and our families meeting and engagement blessings you may have been wondering if we had made any plans for a reception venue…well rest assured, we did. I have known some people who have needed to book a reception venue up to two years before the actual date but we managed to find a good selection of choices still available. Perhaps 29 December is a less popular date being between Christmas and New Year’s Eve but whatever the case it seemed to work for us. 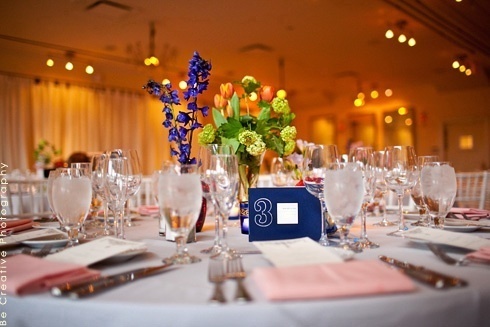 So where does one begin in locating a reception venue? Of course the answer is Google. Jane and I sat down one afternoon, sent a raft of enquiry emails and receiving back responses, we compiled a spreadsheet of where, how much and what was included. We discovered that in considering a venue we had to ask ourselves some questions about what was important to us. Some couples choose venues that have stunning views overlooking the water or some other natural wonder, other couples choose venues that are renowned for their five-star menus and other couples choose venues that are significant to them or their families. And then of course most couples need to balance all that against their budget and find a happy compromise. As I mentioned in a previous column, prior to getting married my idea of a reception was a marquee in a field. Jane’s idea was an indoor venue that had a ‘wedding feel’. Unfortunately for me, Jane did not want a reception in a field and unfortunately for Jane I did not want a reception in a place that had a ‘wedding feel’. I had to laugh after inspecting one atypical wedding reception venue; as we left Jane commented on how much she liked the mirrors on the wall and I commented on how much I disliked the mirrors on the wall. All lessons in the classroom of compromise I am sure. In discussing what was important to us, Jane and I agreed that even more important than the views and the menu and the location was finding a venue where we could simply have a really pleasant evening with family and friends. We wanted a reception that would be enjoyable more than anything else. Now of course looking out at the harbour is enjoyable and eating a piece of $60 steak is enjoyable but we were more interested in simply the enjoyment of having our loved ones all together; of good company and conversation in an atmosphere of joy. A couple of weeks before venue shopping we had attended my cousin’s 21st birthday at the Liverpool Catholic Club in South-western Sydney and we were both impressed at the venue. Their function centre is in a completely separate area to the rest of the club with its own entrance. The actual room was a great size with plenty of space for us all and for our little nieces and nephews to run around. So while the room does not have much of a view (as there are no windows) and the location is in the middle of a car park (which is actually highly convenient) we felt this venue would be ideal for our very special celebration. We made the booking. A room after all – any room – is just four walls and a roof. On 29 December we are going to gather all those whom we love and all those whom love us into this room and it will become no longer a room but more importantly a memory in our hearts and minds of a day that marked the beginning of something wonderful. Posted in Uncategorized and tagged engagement, liverpool catholic club, reception, reception venue, wedding. Bookmark the permalink.